With the rise and rise of the Internet, homeworking, gaming and talking to loved ones on different continents, it’s small wonder that home buyers want to know all about the broadband before they sign on any dotted lines. 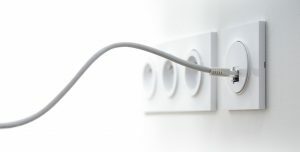 Such is the importance of decent broadband that one in three home buyers will delay their move until they know they’ll be going to a good connection; some may even cancel it and look elsewhere. Broadband company Hyperoptic canvassed 3,000 UK people to see if they’d look at a property’s broadband speed before moving. Almost 70% said they’d check, with some saying that if the broadband was slower than 9mbps they may not bother at all. On average, the minimum speed the respondents would be happy with was 18mbps. The survey also showed that some people would pay up to 11% more for a property with 100mbps or more. Of the respondents, 62% said it was more important than an additional bedroom and 45% said it was more important than good local restaurants. 46% said it was more important than a gym and more than half placed it above a swimming pool or good transport links. Fast broadband is also more important than good neighbours (60%) or even a garden (62%). If you’re selling, what do you do? Super-fast broadband is still a bit patchy in the UK, so you may not be able to boast this in your property specs. If you can’t, however, all is not lost, you need to be honest about it and highlight the benefits that your area does have, as well as suggest other options for internet. If you are lucky with your broadband, then don’t waste any time in letting buyers know – the question will come up sooner rather than later, so make sure it’s a selling feature.